Over the past few years, our country has become more and more unhealthy. This has caused a shift in the need for more preventative medicine and a focus on wellness. This couldn't be more true for people with disabilities! Here's some good news—exercise is the best medicine! People with disabilities are less mobile—even if you push a wheelchair, your muscles are unfortunately firing less than an able body. You have to make an extra effort to get additional physical activity on a daily basis to prevent those health risks like heart disease and diabetes. You need to exercise for health, but also to keep from gaining weight and for strength, right? 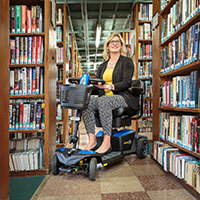 Additional weight can greatly impact the ability to get around. For some people this could be the difference from being able to get around independently versus needing somebody to help them. 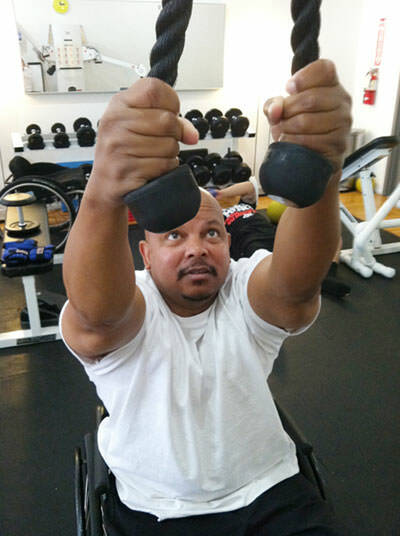 Exercise can also decrease the risk of other complications that are common for wheelchair users, like certain types of cancers, UTIs, respiratory complications and pressure ulcers—all of which can be serious, and even life threatening. Exercise can decrease anxiety and stress, which is important for everyone! It can also contribute to improved self image, help to manage pain and decrease constipation. All of these amazing benefits, and yet so many of us do not get enough physical activity. Why?? Not enough time?! This is the biggest excuse people have for not working out. For optimal heart health, you should get at least 30 minutes of moderate to intense exercise most days—if not every day — of the week, according to the American Heart Association. If you can't do 30 minutes at a time, divide it into three 10-minute segments per day and you'll reap the same benefits. Something is better than nothing. "I'm too tired!" Another common excuse. But exercise actually gives you energy! You might be surprised at how a 30 minute workout in the morning can change your whole day. When endorphins are released into your bloodstream during exercise, you feel much more energized the rest of the day! Do you know where you can get your workout on? Is there a gym or pool in your local area? 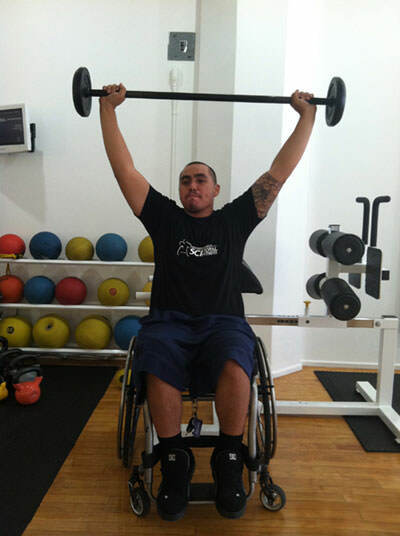 Are there any wheelchair sports teams or adaptive recreation centers near you? If you need help finding these local resources, I'll do my best to help you. 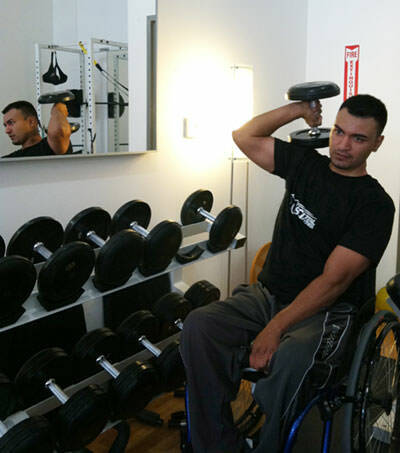 I started SCI Total Fitness because I know it isn't always easy to get to one of these wonderful facilities. I also wanted to take away any excuse for not getting enough exercise! I put up multiple new workouts every week, one strengthening workout that is "boot camp" style. You exercise for a period of time then rest. And I put up a cardio workout that is a sustained 45 minutes of exercise. Both videos are accessible at any time, and you can alternate between them as you want. I then change the videos weekly so you don't get bored. It is a great adjunct to your gym routine or any therapy you're getting. Check out my website for more details, and also to try a class for free. "The F.A.S.T. Classes are exactly what I have been looking for. I can exercise from my home around my schedule. 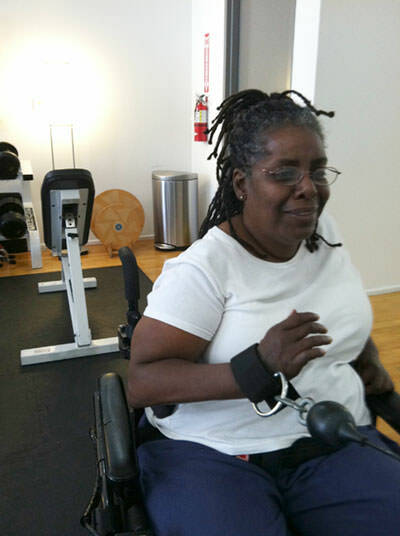 The classes provide the challenge I need by adding weights," said Dr. Michelle White, who has a C-5 spinal cord injury. "I would recommend these classes to anyone searching for a fun way to reach their fitness goals." Why wait? It's time to take control of your health and get moving! Feel free to email me with any questions at kristin@scitotalfitness.com. For more on SCI Total Fitness, visit www.scitotalfitness.com.